After near­ly a year since it was doo­dled and set in Adobe Illus­tra­tor, I final­ly got the huevos to just do it and get them screen-print­ed. 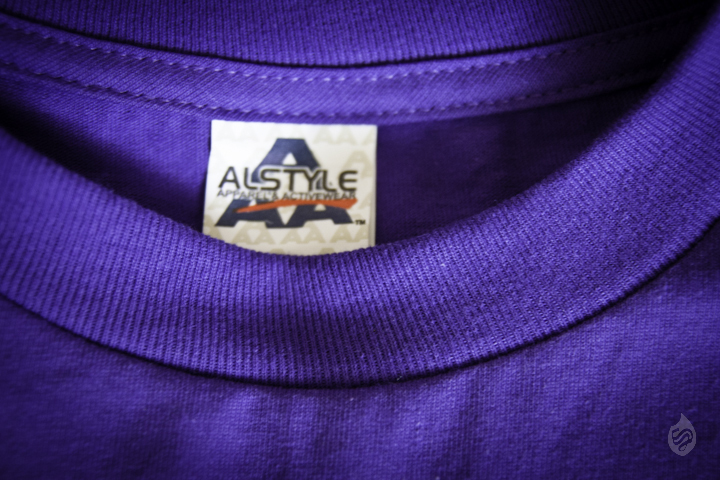 The first batch were done on Pur­ple tees. It felt the text had more pop on that as well. Thanks to Sun­day Print Co. for the great end-prod­uct; so crisp and so clean. Def­i­nite­ly going back to those dudes for future stuff. 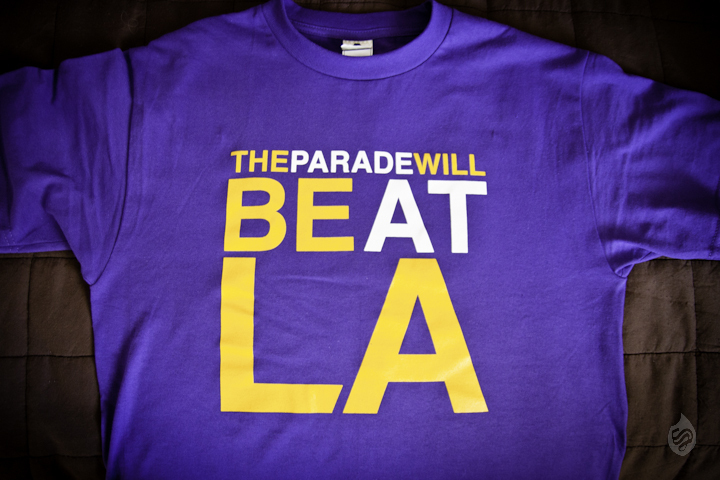 They’re locat­ed in LA. I also would like to thank Tri­cia (Chicharon Adven­tures) for refer­ring them. From my mind to yours… DO WORK!